Hip-hop is more than a genre you see on the Billboard 100 charts. It’s a rich culture overflowing with history and fashion, and it’s a melting pot of derivative and innovative dance styles. Since its birth, hip-hop has been used to communicate the joy, sadness and oppression of a people. Hip-hop is about more than putting raps on tracks; it’s a way of being. For these reasons, I have maintained a great appreciation for hip-hop. This appreciation for the music fueled my desire to become a hip-hop dancer. Joining Refresh Dance Crew at Northwestern University has given me the opportunity to satisfy this desire. Refresh Dance Crew is a hip-hop dance group on campus that promotes dance education and growth for students. Since my freshman year, the group has performed at Northwestern events Celebrasia, Drag Show Refresh’s “The Show” and Rhythm Nation. This group of people has allowed me to evolve as a person and dancer. But, this evolution did not come without struggle. Initially, I felt like an unwanted outsider in a largely homogenous space. Not only was it my freshman year of college, but Refresh was predominantly Asian and served as a stark contrast to the South Florida environment I grew up in as an African-American. Many members of Refresh were international students who brought with them cultures that I considered a polar contrast to my own. I recall being in practice hearing my predominantly Asian peers obsess over foods I couldn’t pronounce, K-pop artists I’d never heard of and the latest styles from clothing brands I’d never worn. When it came to global hip-hop dance community, they were much more knowledgeable and researched. My background was limited to the African-American culture that runs through my veins and remains at the core of my being. I wanted to dance, but I also wanted to feel like I was a part of their community. I was tired of constantly feeling alone while in a crowd of my fellow crew members, but this loneliness led me to a realization: In order to extract the enriching experience I hoped to get out of Refresh, I had to assimilate. Assimilation wasn’t that difficult when I had my Refresh mentor and other Refresh resources to guide me through the process. My mentor, among other Refresh members, routinely posts dance videos on Facebook. Thus, the Refresh Facebook page’s timeline has come to serve as an expansive repertoire of hip-hop’s hottest dance groups, styles and choreographers. These posts, in combination with Refresh’s weekly choreography classes and open sessions, played a game-changing role in my education and assimilation to a world outside of my own. As I became more familiar with my Refresh family, I began to immerse myself in their culture. My exposure was all-encompassing and the Refresh community was very welcoming. Student members on the current Refresh education chair were even responsible for some of my first experiences at local Asian eateries, such as Koco Table and Kung Fu Tea. My involvement in Refresh continues to grow exponentially. I’ve blossomed from only dancing in one piece my first quarter to currently dancing in four pieces and choreographing two others for this year’s Refusionshaka event, along with one of my closest friends. Even after a year, the cultural exchange between myself and the members of Refresh hasn’t ceased. I incorporate my own style of dancing into the choreography I produce and I continuously learn more about their culture. Although my level of comfort has grown tremendously, I’m still closest to two of the African-American members of Refresh. The sense of familiarity I feel with them is irreplaceable, even in a community with people as amazing as the Refresh dancers. I’ve learned not to be so complacent in my comfort. Exploring new things and taking risks before the burdens of adulthood take priority is integral to the college experience. I’m happy I took that uncomfortable leap into the daunting, unfamiliar community that was Refresh. My college experience wouldn’t have been the same without it. 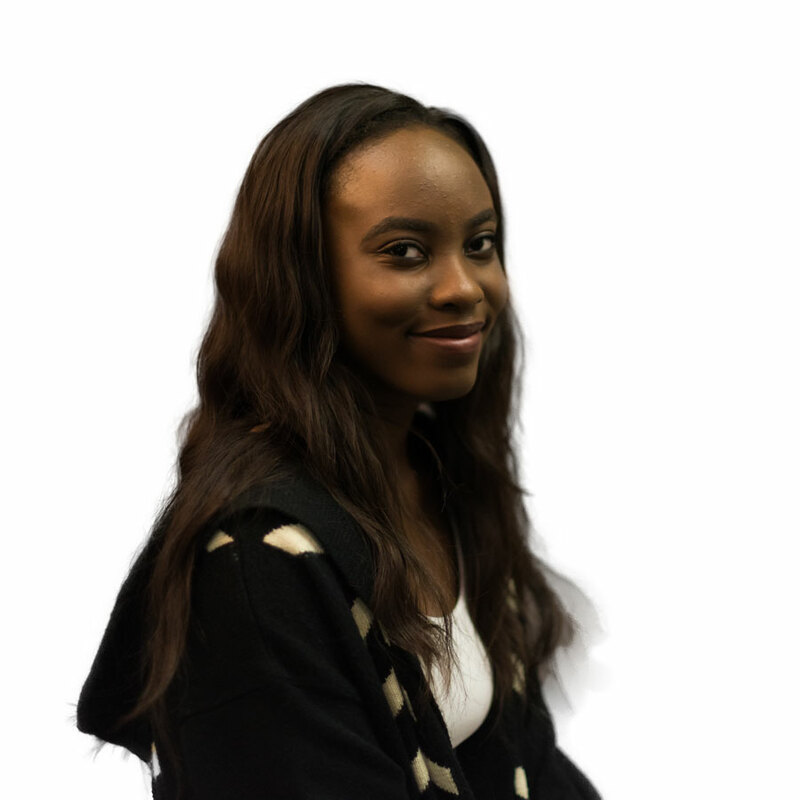 Alecia Richards is a Medill sophomore. She can be contacted at aleciarichards2018@u.northwestern.edu. If you would like to respond publicly to this column, send a Letter to the Editor to opinion@dailynorthwestern.com.